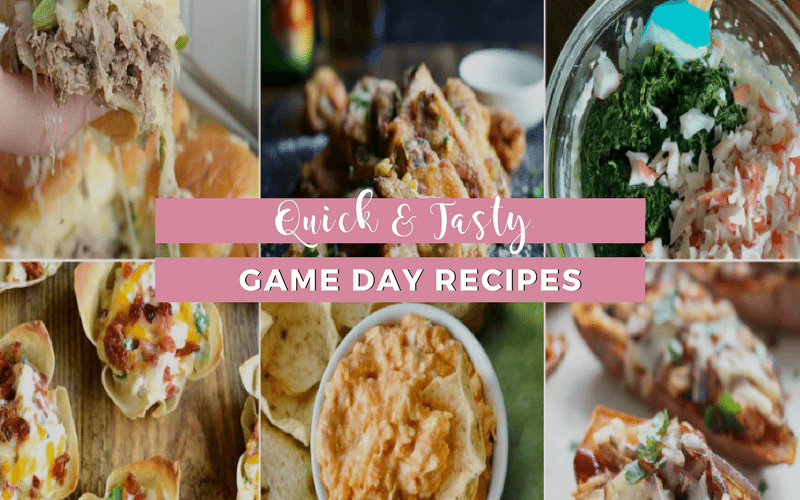 A compilation of 7 quick, simple, and easy game day recipes for your party of two or party of five. It's almost time for the super bowl, again! And it's a celebration. Not because I love football. But because the super bowl means the season is ending and I have roughly 7-8 months before I have to suffer through another season of arguing over the tv on Sundays and Mondays with my hubby, and now my daughter. Yes, I know, it's not the popular opinion. Because lately it seems more and more women are loving football and willing to dedicate there Sunday's, Monday's, and now Thursday's to watching the game. My daughter has become one of those chicks. My husband has converted her. And now she's using it as a bargaining chip to gain access to the TV on Sunday while she does my hair. Not cool. Not cool at all. No, but really. I'm truly not a fan of football but the super bowl game day has always been a big deal in my house. Tradition is, I make my hubby, and whatever friends he has over (which usually isn't many), all his favorite game day foods. And I usually sit there with him, if no friends are over, while he watches the game. And I blog, research or whatever. When he has friends over, I get to be the awesome wife who leaves him and his friends, with the best homemade snacks, alone to watch the game in all their glory. Winning! I always ask him what he wants. Even though he could care less, as long as I made it. This year, I have compiled 7 delicious, quick and easy recipes you can make hot and fresh on game day. AND still enjoy the game! If that's your thing and all…. Sliders have to be one of my favorite go-to quick fixes. A perfect addition with steak or chicken. Which is how I would make them for my family since we don't eat beef. A super bowl party is not complete without chicken wings. These parmesan garlic wings are the perfect tasty addition to your game day foodie festivities. These bite-sized wonton cups are a ideal spicy addition to the fame day spread. Loaded similarly to traditional potato skins with a spicy twist. If you have never had buffalo chicken dip, you are living your life all the way wrong! A favorite for game day, work pot lucks, or whatever function you are headed to. Quick, easy, tasty…. my kind of food! Now you know sweet potato's can do no wrong in my eyes. These right here are new twist on a game day traditional favorite – potato skins. I don't know about you, but regular skins might not make it on my table anymore after these…. Let me just say, there has never been a function that I have taken this to, or made this for that I did not have to give out the recipe. Super easy, super fast, and soooooo darn good. It is spinach dip on fire! It does not disappoint! Who says you can only have birthday cake balls for a birthday? Definitely not me! These are a perfect quick and easy dessert to make to add to the finger food spread. I bet you there will be not one left when the game ends, if not before! So there you have it! All you need to pull of the perfect game day spread. 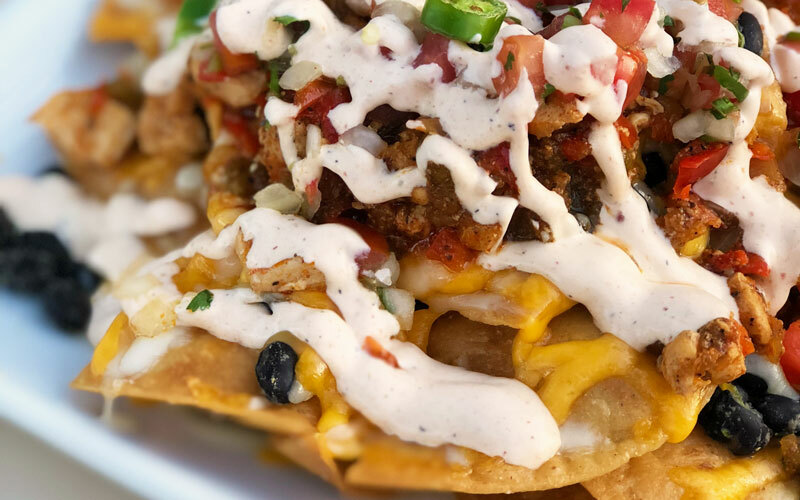 Whether you plan to watch the game or just enjoy food on the sidelines. 7 simple & easy game day recipes for your super bowl party! Share This Tell me, what you making in your game day spread? Yum- the buffalo dip is delicious! A friend of mine made that for our book club and it was a big hit! I agree, it’s a great dish for a super bowl party. All of these look amazing. You sure do know how to put together a spread! My favorite part of the big game is all the food!